Today I am going to Introduce a new brand to my readers & friends . It’s TBC By Nature . TBC By Nature is a New Brand which has various Skin Care products like body lotions , Face Cream ,Night Cream ,Body Butters , Sun Screens , facial Kits etc . 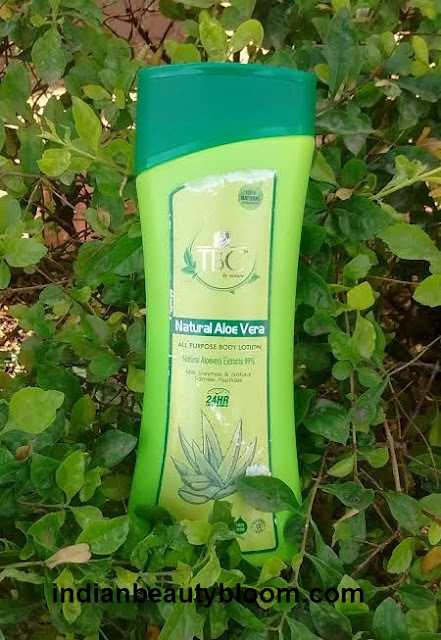 This product Natural Aloe Vera body lotion is the first product from this brand which I have tried and I really liked it . The product comes in a Plastic bottle . 1. 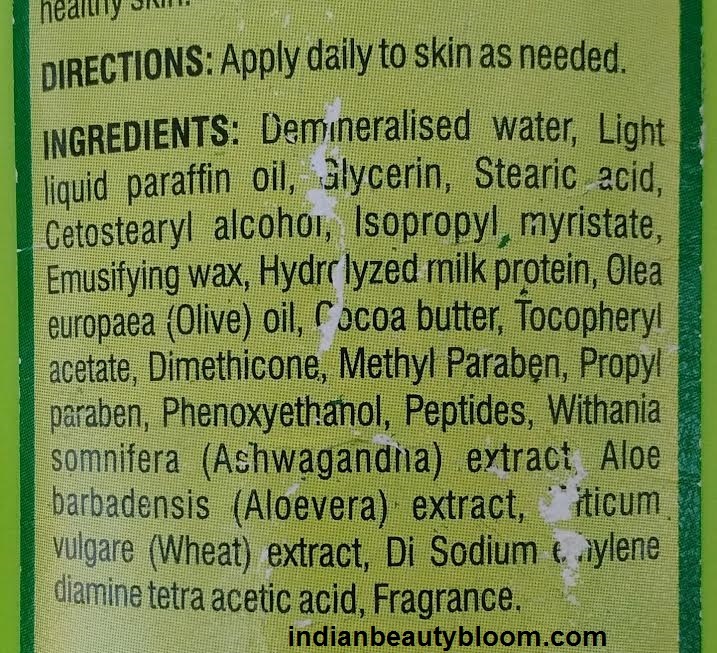 Contains natural ingredients like Cocoa butter , Aloe Vera extract ,Olive oil , Glycerine etc . 3.Completely moisturizes the skin and keeps it hydrated for a good period of time . 6.Has SPF15 which is good . 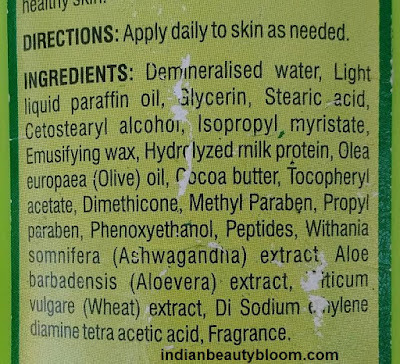 2.Contains Parabens , so not good for people who look for Paraben free products . It has a nice fragrance , has a thick texture , completely moisturizes the skin and staying power is good , upto 5-7 hours . It is suitable for all skin type . 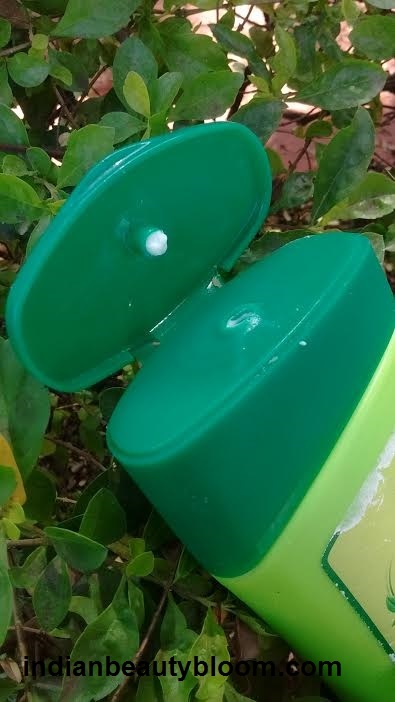 The product is excellent but if the packaging could be made Travel Friendly , then it would be Great as the current packaging is not travel friendly and so could not be easily carried in bag or purse . 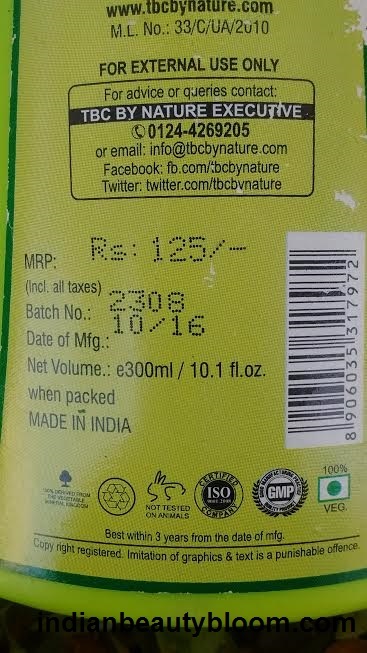 One can buy this product and other TBC By Nature products from online stores like Flipkart.com , Purplle.com , Amazon.in etc .